The Center for Career and Professional Advising (CCPA) empowers students and alumni to learn about and prepare for meaningful work, as they translate their Haverford liberal arts education into a rewarding life. In short, we are here to help students explore, identify, and realize their career and professional goals. Here’s what we have happening this week at the CCPA! The CCPA is already gearing up for next year! Specifically, we are beginning to prepare students for the 2020-2021 Fullbright Fellowship applications. Will you be one of the students applying? Read on to discover what the Fulbright Fellowship Program is, who should apply, and where you can learn more! 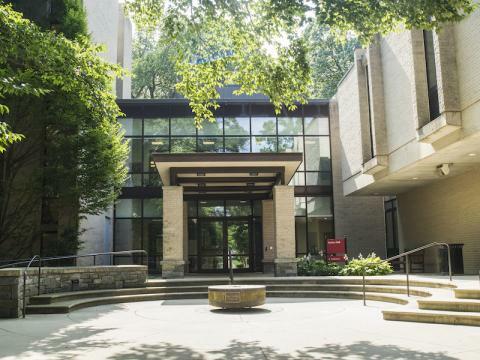 This weekend, the Haverford College Multicultural Alumni Action Group (MAAG) is offering a “Life Skills Workshop Series” with sessions on Financial Empowerment and Identity Capital. All are welcome! Here are our events this week! We hope to see you there! Dreading an upcoming phone interview? Not sure what to expect? Check out this article from Vault on how to make a good impression and make it to the second round! We have so much going on this week! Take a look at all the cool career-related events happening on and around campus! Article reposted from Career Contessa. Career Contessa is a resource designed for women looking to build their careers, however, their advice on how to determine a starting salary is applicable to all Haverford Students! You are invited to the Spring 2019 Social Impact Career Fairs on March 29 and April 2! These are exclusive virtual career fairs for students from 19 consortium universities to meet and connect with a range of government, nonprofit, and private sector employers. Learn more in this post! Happy Spring Everyone! Here are all the events happening this week PLUS the CCPA’s walk-in schedule. The possibilities Arya found in his own life help him show his inner-city students how to aim high. Cho works in the media & entertainment business in a dual position. Schwarz works on creating enterprise level safety, compliance, and training software for research institutions, including pharmaceutical companies, biotech organizations, and universities. Horn stumbled into the museum field through a summer internship that eventually led to a post-graduation editorial assistant position. The English major works as a senior editor at Beacon Press, a publisher based in Boston. Visit haverford.joinhandshake.com to sign in! We are here to help students explore, identify, and realize their career and professional goals.